The OptimH2O Reverse Osmosis + Claryum combines premium filtration technology and reverse osmosis for optimum healthy and hydration. 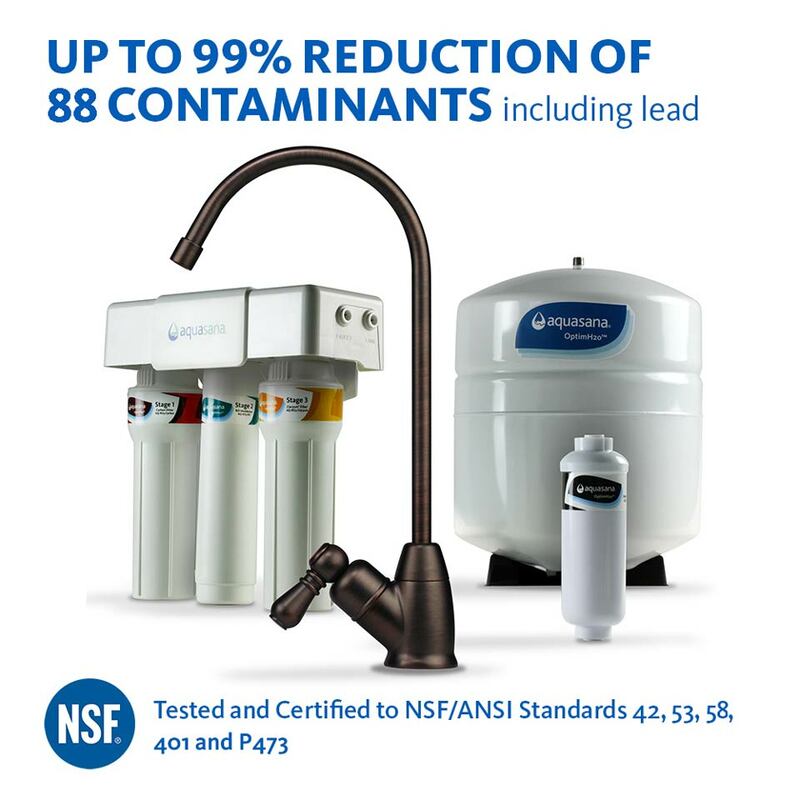 The only proven water filtration method to effectively remove fluoride plus 87 additional contaminants. 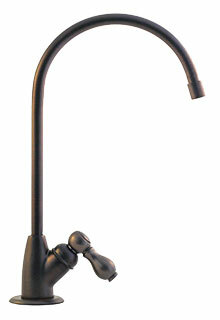 OptimH2O® Reverse Osmosis - Oil Rubbed Bronze is rated 4.3 out of 5 by 240. 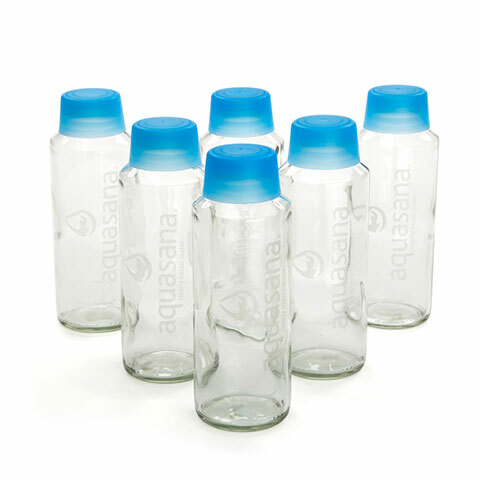 Aquasana OptimH2O Reverse Osmosis + Claryum delivers the best drinking water available for optimal hydration. 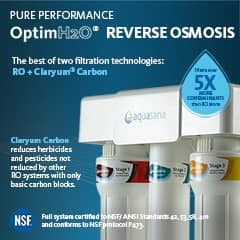 This is the first reverse osmosis system of its kind to pair powerful reverse osmosis filtration with Claryum selective filtration PLUS remineralization. Remove over 95% of fluoride without demineralizing your water for optimally healthy, clean water. Reverse Osmosis is the only proven water filtration method on the market to effectively remove fluoride from regular tap water. Remineralizes water to put back the healthy minerals lost in the reverse osmosis process like calcium, magnesium, and potassium. Improves water pH balance for optimally alkaline drinking water. 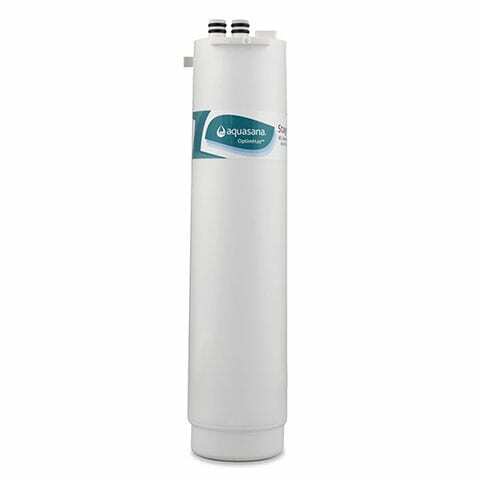 Osmosis Filters out dissolved solids smaller than 1 micron like fluoride and arsenic. Carbon Reduces organic chemicals like herbicides, pesticides, VOCs and MTBE. Carbon Targets chlorine and chloramines (chlorine + ammonia disinfectant). Exchange Filters heavy metals like lead and mercury. Absolute Sub-Micron Filtration Captures asbestos and chlorine resistant cysts like giardia and cryptosporidium. 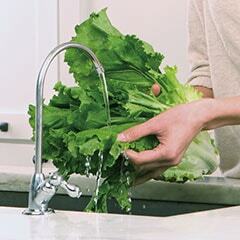 Remineralization Puts back healthy minerals to improve pH balance & water alkalinity. The result: Effectively removes >95% of fluoride plus 87 additional contaminants and puts back healthy minerals for optimal drinking water. Replacements engineered for ease. 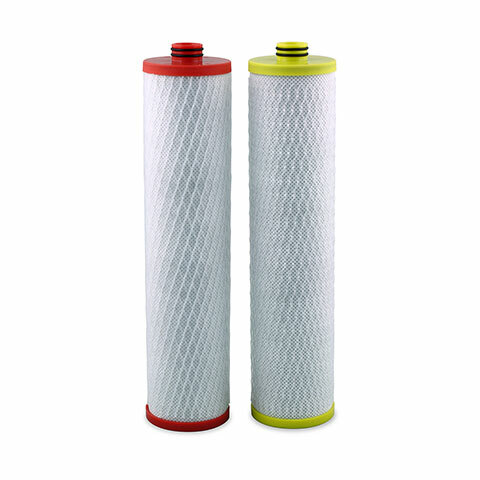 Eco-friendly carbon and Claryum filter housings easily twist off so replacing your filters is a snap! 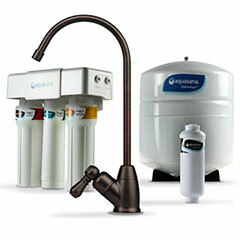 Aquasana OptimH2O Reverse Osmosis + Claryum features a reliable flow rate to deliver optimally clean, healthy water fast! Selective Claryum® Filtration reduces 74 contaminants including chlorine, chloramines, heavy metals, pesticides, and herbicides. Remineralization designed to provide healthy amounts of calcium, magnesium and potassium for optimally alkaline, pH balanced water. ** Capacity depends on water quality and usage. Rated 5 out of 5 by DrVille from Glad we finally switched to RO We used the standard under counter filter for many years, but wanted something to remove the fluoride. After looking at all of the options, we decided to go with the Reverse Osmosis system. It works great! The re-mineralizer adds back in all of the important minerals that come out with the fluoride and the water tastes great - even better than before. A couple of the reasons that we waited so long to make the switch to RO were concerns about installation and having a more complicated system. Both have turned out to be no big deal. The install was about the same as the standard under counter system and only took about an hour or so. And the system itself has worked flawlessly. We can hear it draining the waste water occasionally and that's about it. 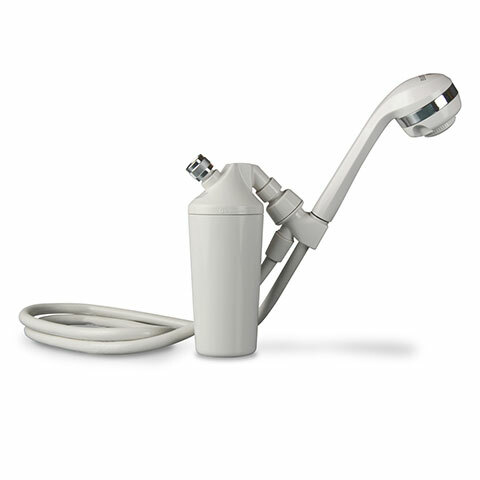 Overall, we would highly recommend the Aquasana RO system. 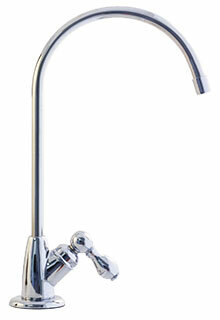 Rated 5 out of 5 by TripleGGG from Great Value for a Drinking Water System Works as advertised. Water tastes great and appears to be crystal clear. 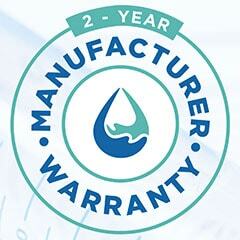 Rated 5 out of 5 by Bob S from Great Product - Piece of Mind Just recently moved to an area where the city water is not the best quality so we bought water from the store for drinking and cooking. To remedy the situation I installed a whole house filter and the OptimH2O RO system and we are very pleased with the taste and quality. I had the whole house system installed by a professional plumber and I installed the RO system myself. It was very easy to do the install. Instructions were complete and there was also a video to help if needed. Rated 5 out of 5 by Augusto, Dania Realtor from Excellent product!! By far the best water filtration system we have tried. Rated 5 out of 5 by Wags from Excellent I was able to install the filter with no problems and no leaks. As far as the water itself, it's clear, no bad smell to it, and it taste good. I don't drink a lot of water by itself but the coffee taste very good and is smooth. No complaints from my dog either. Without having the water tested for any contaminants I am hoping the filter is doing it's job. Rated 5 out of 5 by Bairdr from We are enjoying the great water. We are enjoying the system and great tasting waster. Rated 5 out of 5 by Nikki Loves It from Love It I’ve had the system installed for a couple of months now and I am really enjoying it. Although it is not advertised to provide 9.5 pH or higher, it’s holding its own with the Essentia water I use to purchase. I bought a water testing kit and tested it for five times over the last couple of months and consistently have a reading above 10.0 pH. I have the under sink system along with the whole home system. I’m not sure of having both systems helps to produce such fabulous results but I’m very happy. I did have some issues with installation and having the plumber come out a couple of times to troubleshoot why there was so much noise when the tank refills. It turned out the plumber failed to install the water flow restrictor. The Aquasana team was great about diagnosing the issue and even sending out a replacement flow restrictor when we realized the plumber threw it out. The only down side is the faucet could not be installed very tightly. So long as no one slams it on or off it has not been a problem. I also had to have a hole drilled into my countertop in order to have the system installed. Rated 5 out of 5 by His Majesty from Works great. The water tastes fine, but since our city water is pretty good to begin with it's difficult to judge how well the system is working based on taste alone. I performed the installation myself and it was easy, but I'm pretty handy with tools so decide for yourself if you're up for it. I did have to replace the existing water valve since I have an older home and it was the original valve. 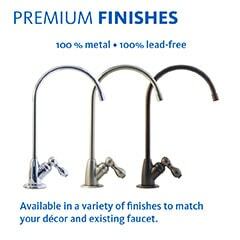 If you're not up for doing some minor plumbing repairs you probably want a pro to do the installation. It shouldn't take a pro more than an hour to complete. Also keep in mind that if you have a garbage disposal system it's going to be a lot more crowded under your sink than in the installation video and you'll need to work around it. The instructions for starting the system for the first time were a little confusing, don't expect a full stream of water until the system is fully charged and during the initial 24 hour system flush. Rated 5 out of 5 by aimonb from A must if you have a salt based water softener. We have a salt/. potassium based water softener tastes horrible. This reverse osmosis system makes wonderful tasting water from our softened water!! The tubing they supply is barely long enough to install under the sink. Note that after this unit flooded my kitchen multiple times, it is now in storage. If you check the reviews, you will see that most people have this problem. Keep searching unless you enjoy cleaning up water. Huge waste of money. I would like to capture and save the waste water to water my plants and lawn. What size container would I need if I emptied it each time it went through the draining process? 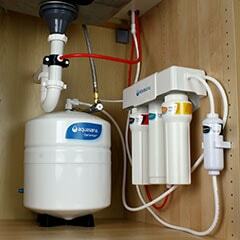 I am interested in replacing my water softener and reverse osmosis system. We are a family of 4 and we have real hard water in our area. What systems do you recomend? i just installed a new RO water filtration system and noticed that there is little air as well as water coming out of air gap window. Is it normal or once the air from the system completely out this will be stopped or not. I turned the water off for now. It has been my experience that this leaks water and air occasionally. I have put my thumb over the hole and stopped it and at other times it does not work. It will stop on its own if left alone. Again, my experience is that this condition comes and goes. Yes. We have well water, so no chlorine. But for those who do, yes this filter removes it. Love this filter! This is the second time today that the tank started to refill and it runs for about 3 hours and makes lots of noise. It's 11:45 PM, we're about to sleep and now it's going to keep running. Did I install something wrong or is this normal? How do I know that this system will work in my area? I am from Little Chute, Wisconsin. Is there a way you can look up their water report and get back to me as far as buying the RO system. Is there a way to adjust how much water is remineralized. My water tastes like it has too many minerals. It's not drinkable. It is not adjustable, however, the mineralizer does lose effectiveness over time (over six months it's scheduled for replacement). Did you flush the mineralizer per the instructions? You may be able to bypass the remineralizer, but I suggest you open the filter faucet wide open for 24 hours. † Nitrate and Nitrite reduction not included in NSF Certification.